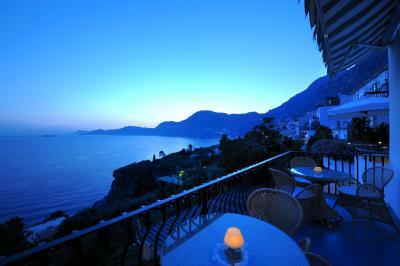 Lock in a great price for Hotel Il Pino – rated 8.5 by recent guests! Great staff, wonderful pool, amazing view. Went out of true way to make my honeymoon special! Free breakfast was very nice and staff were pleasant and kind. The restaurant for dinner was FANTASTIC and the host was Awesome! Very welcome check in - we were greet by a friendly host who gave us free drinks and snacks on the lobby balcony while he checked us in. He gave us some quick pointers about traveling around the Amalfi coast along with some possible activities. Terrific view of Positano and Capri from our balcony. Good continental breakfast with a nice view and friendly staff. 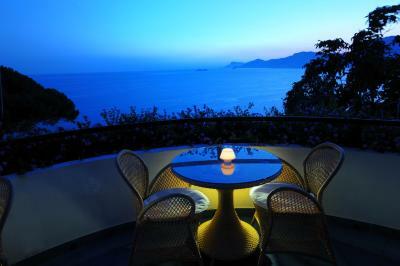 The views from the breakfast terrace and the rooms are to die for - completely facing the sea and nearby Positano. 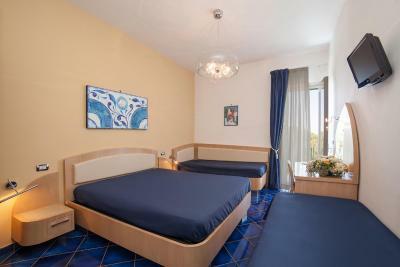 Staff was helpful, the rooms are nice and comfortable. It is based right on the main road so hard to walk out and just walk around. 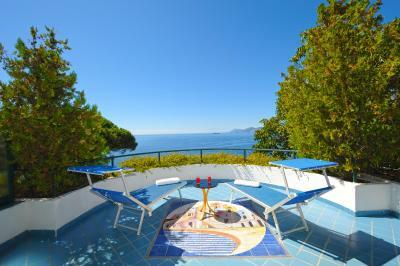 But it is a great location to explore the Amalfi coast in both directions from there. A restaurant on site though not impressive and a small deli across the road for a quick bite. Great location - Andrea was a perfect host who assisted with all our excursions to Capri by small boat to how to navigate the Path of the Gods by foot. He assisted with dining recommendations and transport back to Naples. The location was really great... perfect spot, close to great restaurants and the bus stop. The view from the room was gorgeous. The guy who looks after the afternoon shift into evening is great, very friendly and very helpful. Restaurant had delicious food, views from property, breakfast outside. The great location in Praiano, just exactly I thought near to all the Amalfi Coast places Positano,Ravello and Amalfi and Sorrento( a little bet far compared to others ),and Maiori & Minori also. The fabulous view from the terrace just amazing and quite. Good value for the money. Break fast is also good I tried once only with the same amazing view you can get room BF also. The receptionist all the four shifts were very informative and helpful with almost everything I need from parking the car to booking ferry to Capri. Both of the night shift guys I parked my car on the blue parking you should pay for but after 8:00 am, I parked my car at 11 pm both fo them the were very generous and take the car back one there is available parking in the hotel. Thanks guys. Parking area for the hotel is small as all Amalfi coast it's fit for 4 very small cars after that you should park by your self the reception will be happy to help you. 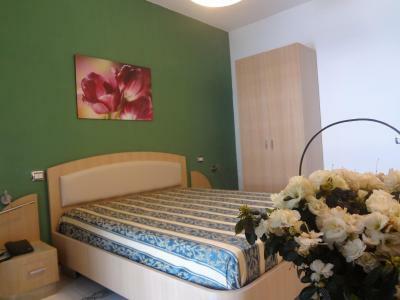 Hotel Il Pino This rating is a reflection of how the property compares to the industry standard when it comes to price, facilities and services available. It's based on a self-evaluation by the property. Use this rating to help choose your stay! 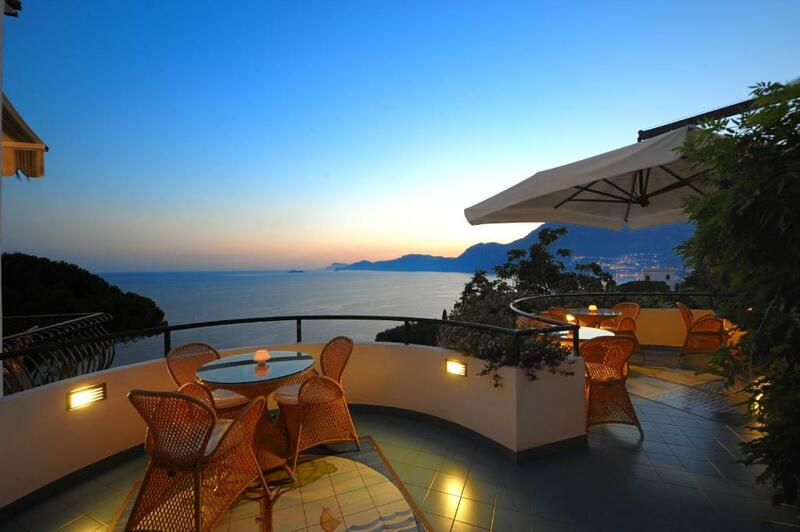 One of our top picks in Praiano.At Hotel Il Pino you decide where to have breakfast, on the terrace or on your private balcony; either way you have a fantastic view across the Amalfi Coast. Set in Praiano, Il Pino is convenient for reaching both Amalfi (6.2 mi away) and Positano (3.7 mi), both just a short journey by car or bus. 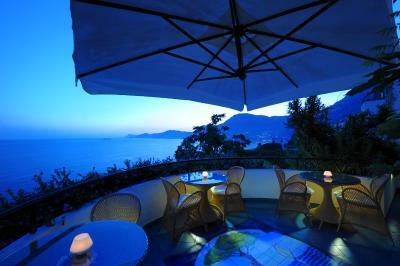 Each room is air conditioned and features a balcony with a beautiful view across the sea, with Capri in the background. Ask at reception about transfers to nearby stations and airports. 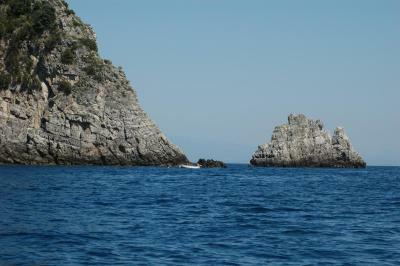 There are a number of interesting excursions and boat trips, which can be arranged for you. Wherever you go, make sure you are back in time to enjoy a 15% discount for dinner at the restaurant. You can choose from a tempting menu of Italian and international dishes, which can be enjoyed out on the terrace. 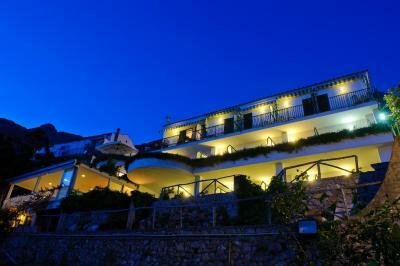 When would you like to stay at Hotel Il Pino? 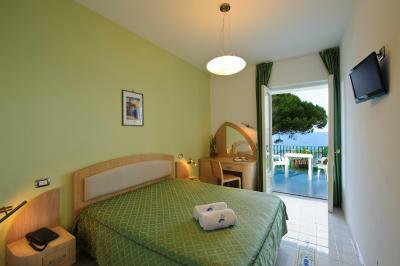 Room with air conditioning, an LCD satellite TV and a balcony with a sea view. The bathroom comes with toiletries, hairdryer and shower. 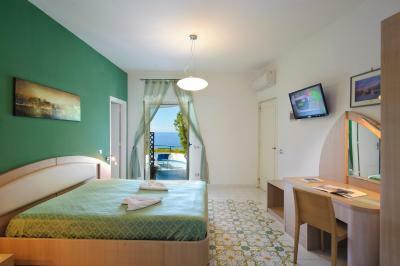 Modern and elegantly decorated room with air conditioning, an LCD satellite TV and a balcony with a sea view. 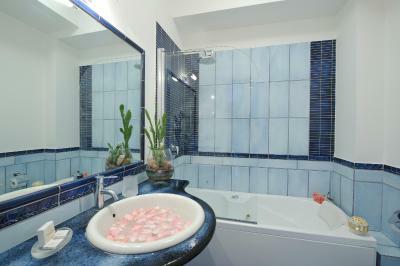 The bathroom is in volcanic rock and features a glass shower or a hydromassage bath. 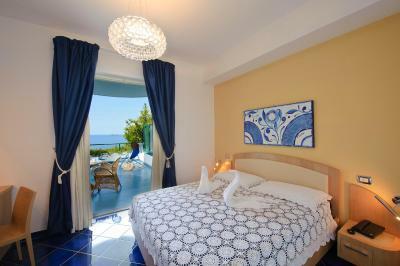 Modern and elegantly furnished, this junior suite has an LCD satellite TV and a balcony overlooking the sea. The bathroom has a volcanic rock glass shower or tub. 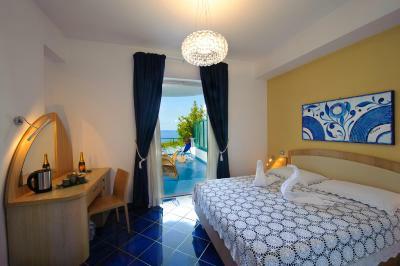 Modern and elegantly furnished, this room has an LCD satellite TV and it offers panoramic views of the sea. It has direct access to the shared terrace. House Rules Hotel Il Pino takes special requests – add in the next step! ATM card Hotel Il Pino accepts these cards and reserves the right to temporarily hold an amount prior to arrival. Hotel Il Pino accepts these cards and reserves the right to temporarily hold an amount prior to arrival. Please note, free hotel parking is subject to availability. An alternative paid car park is located 500 feet from the hotel. Airport and train station transfers are available at a surcharge. 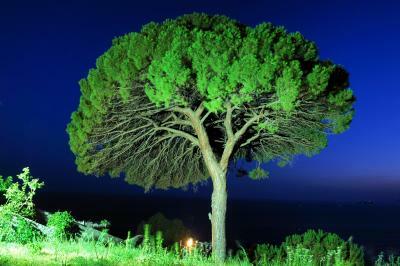 They can be to Naples, Salerno or Sorrento. The seasonal pool opens from 01 May to 30 September 2019. The staff were amazing from providing easy to understand instructions and suggestions for the things to do around the area all the way to ensuring our stay was what we expected. The location was breathtaking with the views from our patio spectacular. Very friendly and helful staff, exceptional service. We were met by the awesome hotel staff and offered a welcome drink. Andrea was very accommodating showing us the room etc. We had an amazing view of the ocean and Amafi coast. The better tub was also a very nice extra. The included breakfast was very nice. The attached restaurant was also very very good. Views from hotel&room terrace were very nice, pool area was lovely, good variety of breakfast, extremely helpful staff. Location right next to bus stops to Positano/Amalfi. Bathroom was abit small and the door & shutter to the balcony did not work so well. Location is excellent.So was staff service.They moved our car from car park ( €15 a night ) to their on-site parking lot ( only for a max. of 5 vehicles ) when space was available.Great initiative!!! We were given a room on the stairwell and it was sooo loud as people were walking up and down from the restaurant that you couldn't even try to sleep. It really detracted from our stay. 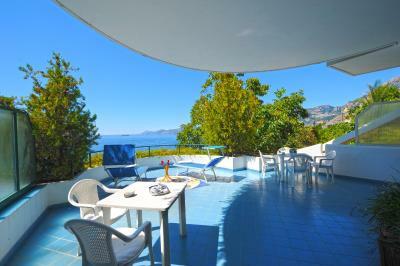 Beautiful views, spacious room and deck, good breakfast, good location. The room we had Procida, was very noisy with foot traffic on the stairs from restaurant guest and the road. This room is literally on the main road, on a corridor of stairs. It is very basic accom- no kettle or amenities. The only disappointment was that the pool opens very late, at 10AM. For early birds like us, this was disappointing because we would have prefer a morning swim before having breakfast. Outside area just outside the breakfast room had tables but we got told of by taking the morning coffee out there to enjoy the view. Overheard someone asking if they could take their breakfast outside and they weren't allowed to do that. Rooms slightly outdated and very noisy, you can hear the conversations clearly from the next door. Bathroom is dark and the hair drier is useless unless you are half bald. We stayed for 3 nights and the location is very good. Praiano is beautiful and much quieter than touristy Positano and the Amalfi coast. We loved the location on the main road after all the stairs we climbed in Ravello where we stayed a few days before. Hotel is also across the road from restaurant that is open all day so you can decide lunch and dinner times. It is approx 15 minute walk to Marina where we dined once and got a rental boat for the day (highly recommend La Sibilla for rental boat). Staff was friendly and helpful with water taxi and taxi bookings, especially Andrea and Milena. We met one of the owners of the hotel and despite a long shift he worked that day, he kept smiling and served great Aperol Spritzers! The pool was great, view amazing and close by beach didn't leave us cold either as we spend almost one full day there. Room was kinda of small and got hot during the day even with the air conditioning - this is probably because our room was on the top floor. Unfortunately the pool was closed due to anti-mosquito spraying, not the hotels fault that it happened while we stayed but it was kind of a let down that we couldn't take advantage of the pool area. Had to pay 5 euro per beach towel which was non-refundable. Thought this was a bit much considering the price per night. Was quite noisy at night but that may just have been the location of our room.. Location was very good. View was amazing.